Toughest League In The State? It’s a debate that changes every year in every sport: What’s the toughest league in the state? For baseball, there are several that are usually in the discussion and they include three from Northern California: the West Catholic Athletic League of the CIF Central Coast Section, the Delta League from the Sac-Joaquin Section and the East Bay Athletic League of the North Coast Section. But if you are looking at it from an all-time perspective, such as the last 50 years or even further back than that for the schools in the league, it’s not much a debate. 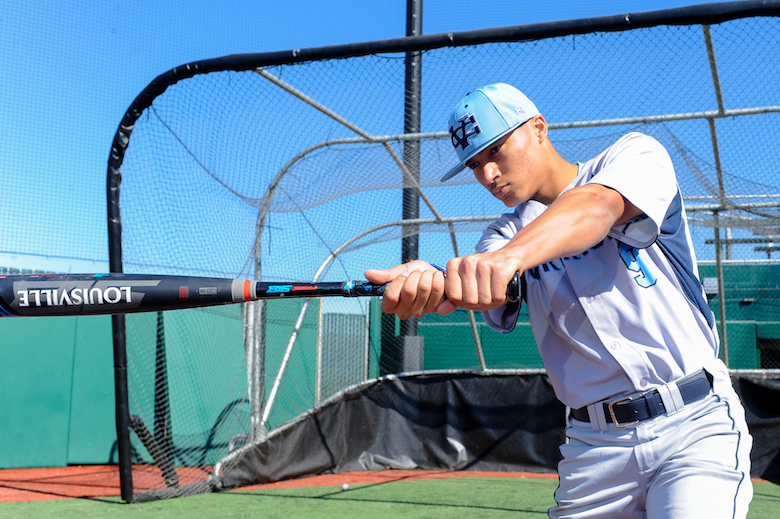 The WCAL is the best all-time league for California high school baseball — and it’s probably the best in the nation. Heading into May, the 2018 season has been impressive for the WCAL even by its usual standards. There were five teams from the league that appeared in the Cal-Hi Sports State Top 20. That had to be done after St. Francis-Mountain View had a win against Valley Christian-San Jose and was before the Lancers were scheduled to face Serra-San Mateo. Valley Christian still only had three losses on the season after that defeat and was No. 5 in the state. Serra had risen to No. 8, Mitty was sitting at No. 10 after being as high as No. 4 while Bellarmine was at No. 18. St. Francis was showing at No. 20. There have been five teams from one league in the State Top 20 before in football, but it’s doubtful that five from one league had not happened before in baseball. Valley Christian hosted Bellarmine in a WCAL game in which the two teams were No. 1 and No. 2 in the state. The Warriors prevailed 5-2 as they scored all of their runs in one inning. Stanford commit Eddie Park had two hits in that one inning and also pitched the final two plus innings for a save. To get to the top two in state rankings, one would assume that both Valley Christian and Bellarmine had done well in preseason games and tournaments. That assumption would be correct. The Warriors went to Southern California and won the Hard 9 National Classic and were 12-0-1 in games outside the WCAL. Bellarmine won the preseason Northern California edition of the Boras Baseball Classic and in its games outside of the WCAL it was 12-0. In fact, if you add up all of the results from all of the teams in the WCAL in nonleague games, it comes to 76-18-2 for a winning percentage of more than 80 percent. A great example of a top team going against the WCAL is De La Salle-Concord. The Spartans were 21-3 as of April 30 but were 0-2 in games against St. Francis and Bellarmine. In addition, the Bells began the season with a doubleheader in Southern California against highly regarded Huntington Beach. They won both games. Huntington Beach then won 21 of its next 22 games and was No. 1 in Southern California until it lost a game to Fountain Valley. All of those totals are great, but mean little in the procedure to fill berths in the CCS Open Division playoffs. There are five leagues in which the winner will be going to the Open Division and since co-champions are a distinct possibility in any and all of the five leagues there is a chance that only the WCAL champion will be in that bracket. In likelihood, more than one and possibly three from the league will be in the Open Division. For the WCAL, the difference compared to all other leagues in California is that the up-and-down nature of the league standings and the tremendous competition is an annual occurrence that goes back to 50 years ago when the league was formed. And the San Francisco parochial schools that are in the league have baseball traditions that stretch back more than 100 years. Sacred Heart Cathedral is one of just a handful of schools in the nation to have two alums in the Major League Baseball Hall of Fame. Those two were from way before Sacred Heart was merged with a girls school and became Sacred Heart Cathedral. But, Harry Heilmann and Joe Cronin were both early 20th century MLB perennial all-stars. The 1941 National League MVP, Dolph Camilli, also is from Sacred Heart. Every year it seems another WCAL alum is breaking out in MLB. This year is no different with the Seattle Mariners’ Mitch Haniger of Archbishop Mitty-San Jose. The league’s all-time best player, of course, would be MLB all-time home run leader Barry Bonds of Serra. The Padres also can boast MLB All-Stars like Jim Fregosi and Gregg Jefferies. Others that would have to be on a list of all-time best WCAL players would include Bellarmine’s Pat Burrell, Mark Canha, Kevin Frandsen, Leo Righetti and Erik Goeddel; Mitty’s Chris Codiroli; St. Francis’ Daniel Descalso, Daniel Nava and Eric Byrnes; Valley Christian’s Mike Rouse and St. Ignatius’ Charlie Silveira, Dutch Ruether and Frank Bertaina. There may be a different league in the state better next year and the year after that, but it’ll take a league many, many years to catch up to the WCAL for all-time baseball greatness. 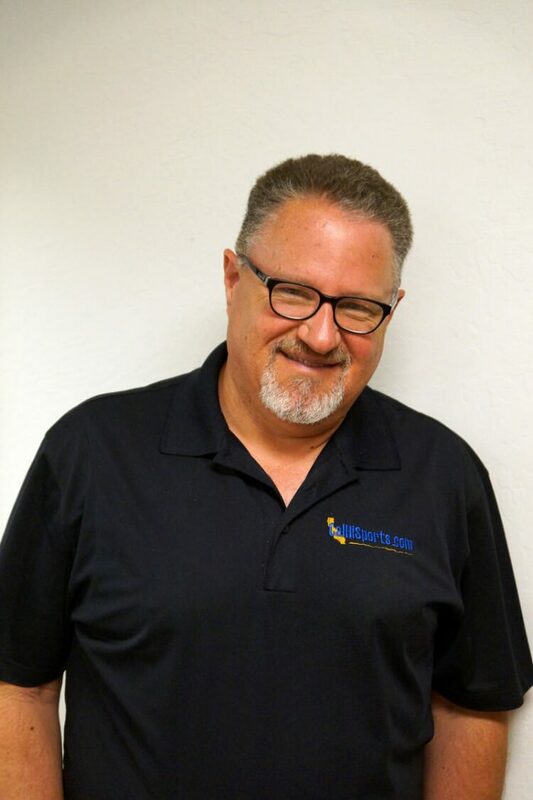 Mark Tennis is the co-founder of Cal-Hi Sports and publisher of CalHiSports.com. Contact him at markjtennis@gmail.com and follow him on Twitter at @CalHiSports. Cast your VOTE for our SportStars Magazine Football Preview coming out next month on August 9th. Frank Bertania attended Sacred Heart. Jim Gentile who came who hit 45 HRs came in third behind Mantle and Maris in 61 also went to Sacred Heart. Babe Pinella (Cincinnati Reds) attended Sacred Heart. Also was home plate umpire for Don Larsen’s Perfect Game in World Series. Joe Cronin attended Mission High School freshman and Soph year and transferred to SH when Mission burnt down summer of 22. Mission High in San Francisco had ten alum who played in major leagues. One was Babe Dalhgren who went in for Low Gehrig when he took himself out of game 2130. Between 1970 and 1980. A San Francisco school played in 7 of the 10 championship games, winning 4 (Riordan and SH twice, respectfully). Since 1980, only one San Francisco school has made it to championship game (Si I believe in 2012 when they lost to Serra). Before that SI in 1980 was last team to play in championship game. Lost (again) to Serra. WOW. Do more research for past 10 years and look at the TRAC League in Central Valley. Fresno/Clovis. It has been rated #1 toughest league in the nation in the past 5 years. AND that is not in just 1 sport AND includes Men and Women’s sports! The greatest part is that none of the schools are a “professional” high school like the WCA. I totally understand that there are good players and good teams in that league but use more than one source when making big claims like that! P.S. Take a look at ALL the players that have went professional in the Fresno/Clovis area. You would be amazed!